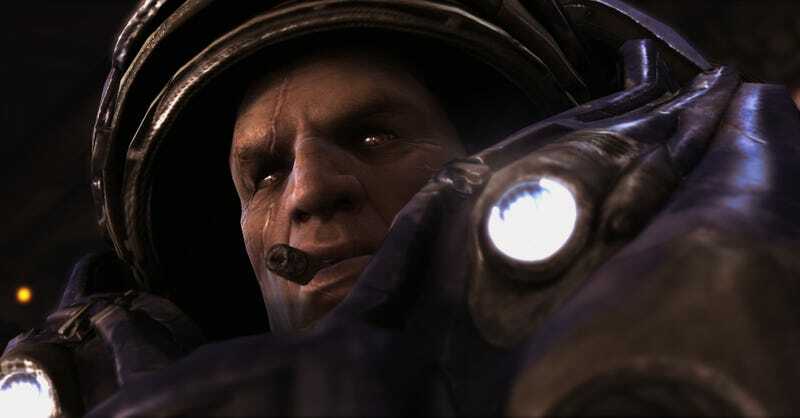 We discovered last week that Tychus’ trademark cigar was missing from the open beta version of Heroes of the Storm, and some people were rather upset about it—bro is always chewing on that thing, after all. And Blizzard artist Phill Gonzalez hopped on reddit to explain what the deal with that was. As some had speculated, the removal of the cigar was related to age ratings. Blizz wanted to hit the equivalent of a teen rating around the world, some regions didn’t allow for smoking with that classification. So they could have made models with the cigar for regions where that’s allowed and models without it where it isn’t, but they decided just going with the one, smoke-free model was a better use of time and resources. Gonzalez said the cigar wasn’t the only regional ratings hiccup they had on HotS: “Skelethur doesn’t even show up in some regions because of guidelines about the depiction of human remains.” Well that’s something!